Demand for the delicate 20th century dynamic prints of the Grosvenor School has softened since the string of recordbreaking sales and prices taking place several years ago. Dominated by a small but active group of collectors, the market reached a high point between 2012-15. It was during this period that Lockdales of Ipswich set the record for a Grosvenor School work when Cyril Power’s Speed Trial sold for £96,000. As good private material by the clutch of names associated with the school has become harder to source, dedicated sales, such as those held by Bonhams in London, have largely disappeared. This is coupled with the simple fact that established collectors have become increasingly selective in what they buy. Rupert Worrall, who moved from Bonhams in May 2016 to head the modern and contemporary prints and editions department at Forum Auctions (25/20/12% buyer’s premium), says the current market may not be as buoyant, but to those investment-minded buyers it is currently better value. A quartet of Grosvenor School linocuts featured in the firm’s third sale of Editions and Works on Paper in London on March 31, and all got away within their guides to total £27,800. The top seller was Sybil Andrews’ The Timber Jim, a relatively scarce 9 x 15in (22 x 38cm) linocut made in an edition of 60 in 1932 (above). It sold to a private buyer for £11,000 against a £10,000-15,000 estimate. The record for this linocut is thought to have been set in Canada for around Can$25,000, with Bonhams achieving £15,000 for another from the same edition sold in December 2014. The market will be tested again at the beginning of April when Sotheby’s ‘Made in Britain’ sale offers six Grosvenor School prints from a single collection. 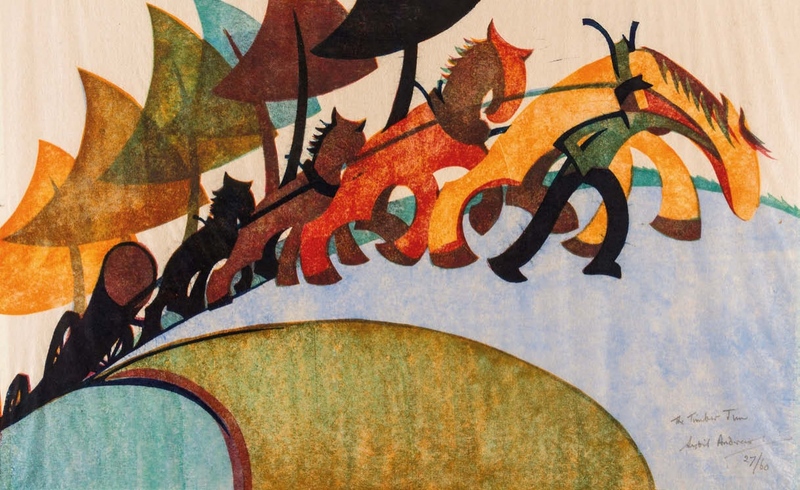 Leading the way is Andrews’ famous Speedway linocut which is valued at £35,000-45,000, followed by Claude Flight’s London work Speed at £15,000-25,000.